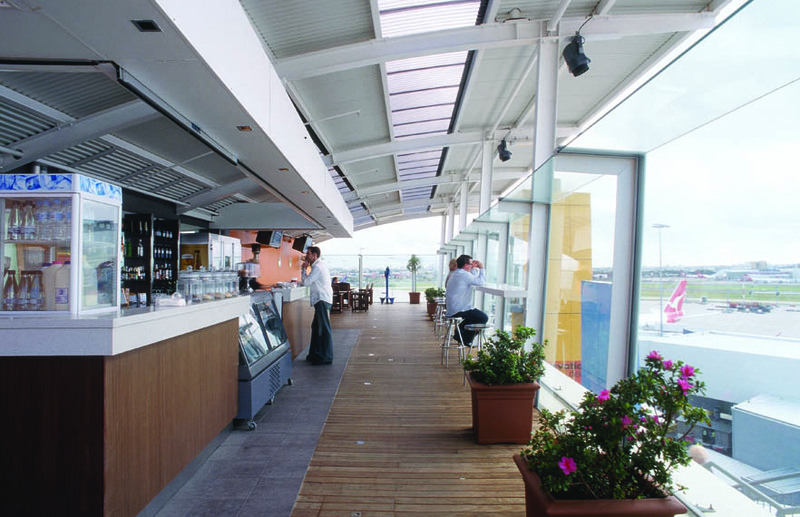 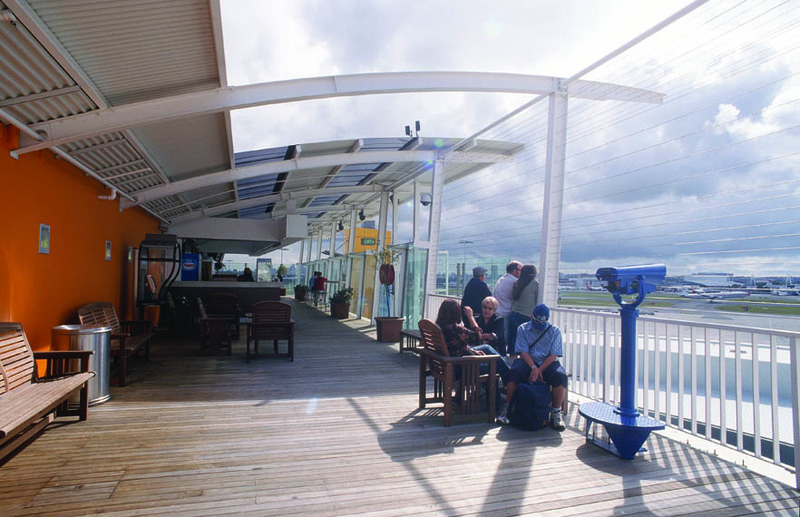 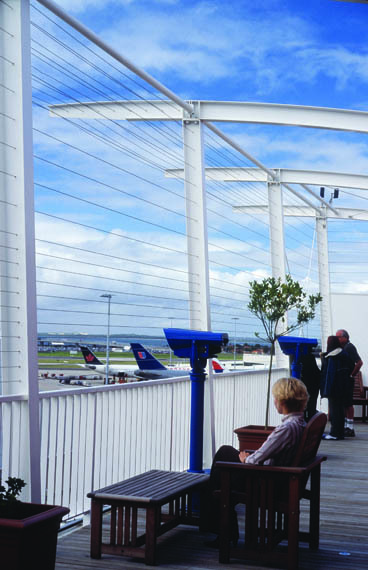 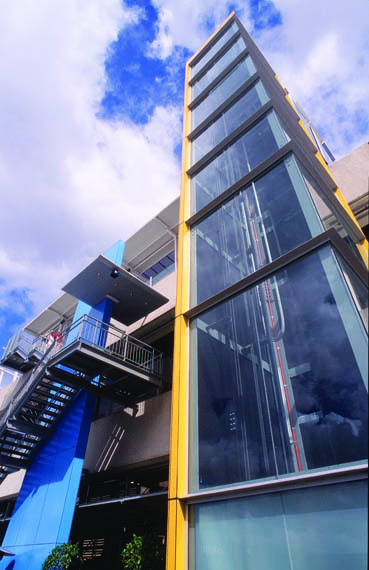 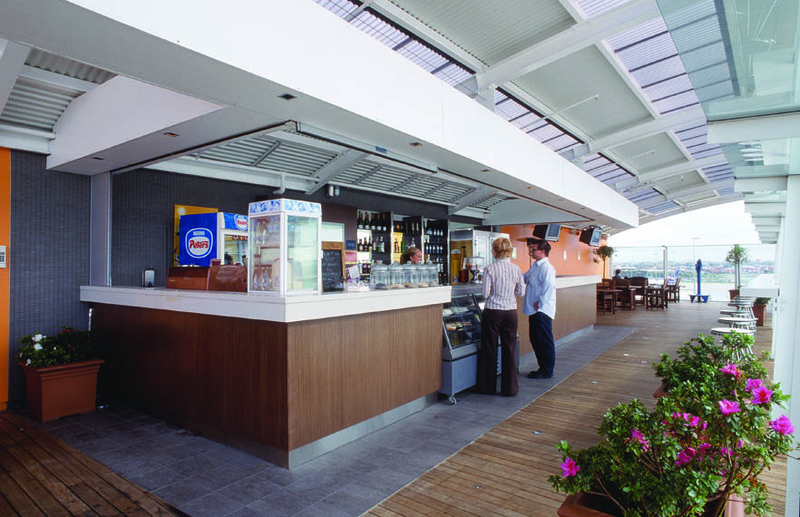 Sydney International Terminal café and outdoor aircraft observation deck. 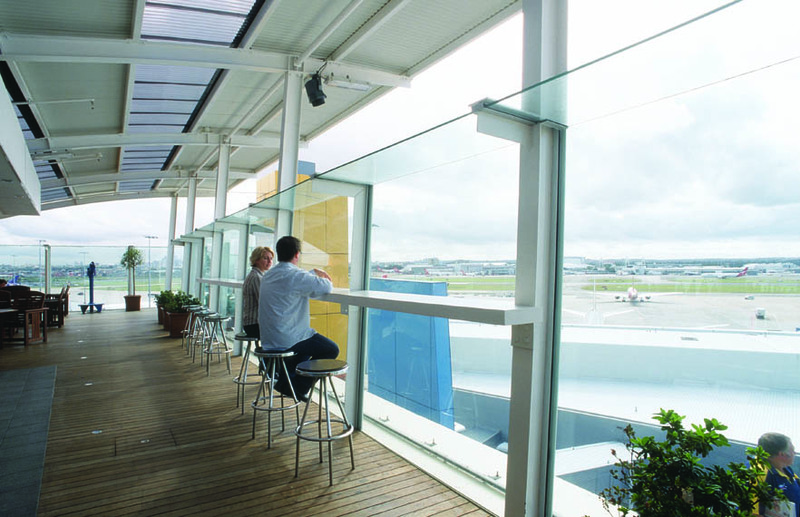 "Completed within the uninterrupted operational and security requirements of the airport, the design provides for an up close and personal aircraft viewing experience for travellers. 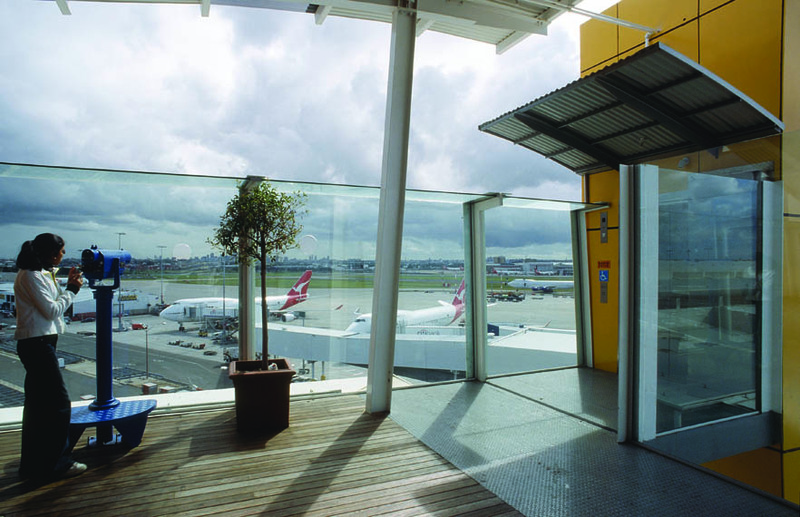 The lightweight steel structure, timber floor and glazing elements combine with the architecturally emphasised lift core to give all-weather outdoor access to the sights and sounds of aircraft operations."